Fitness apps are a staple for smart devices, but one particular app is going in a new direction. A new fitness course aimed at helping transgender and non-binary individuals set more accurate exercise parameters along with mental health criteria has launched in Canada, and its creators are hoping it will change the game for the transgender community. Celeste Turner and her Niagara College professor, Jodi Steele, have teamed up to offer the course through the app, Embodia. They hope to aid mental health and combat the high rates of suicide among the transgender community. The start-up, Embodia, began offering the course in June. 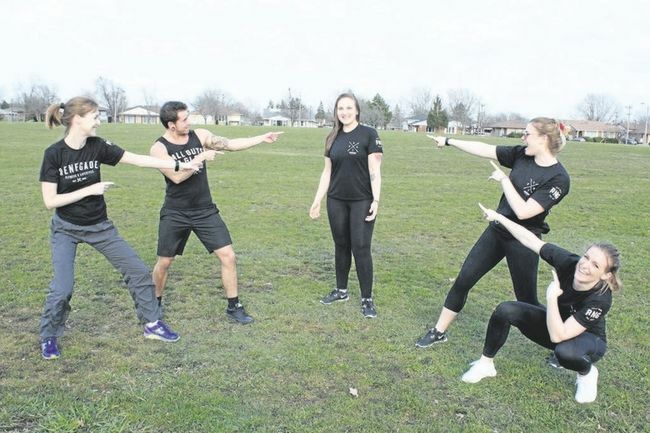 It joins a collection of other fitness courses aimed at different types of conditions, as well as courses to certify health practitioners in specific areas of physical and mental health. For people in the transgender and non-binary community, this new app will give them access to fitness goals and help based on where they are in their transition process. In a world of discriminatory or nonexistent information, the app hopes to use solid medical advice with the support system of a forum to change the way transgender and non-binary individuals approach their fitness plans. Turner says the idea came to her while talking to a colleague. Her colleague’s partner underwent a double mastectomy to more closely identify with being non-binary, or not having a gender. She realized that there was a lack of information and support for individuals receiving the same treatment, and this got her thinking. Many people associate mastectomies with cancer patients, but Turner says that post-op procedures are similar. She got the idea of having a program that would take into account the particular needs and specifications of those undergoing surgery or seeking to transition their bodies to more closely identify with their gender preferences. While the two surgeries aren’t the same, there are specific needs people have when they participate in these kinds of procedures. However, access to medical care and knowledgeable health advice is in shortage when it comes to the care of transgender and non-binary individuals. The Embodia startup founders, Maggie Bergeron and Ellie Afif, hope that this gap in the market will be their chance to make a difference in the lives of transgender Canadians as they transition. They recognize the need to offer well-researched information for this specific subset of individual. Their company Embodia produces educational fitness courses, and Turner and Steele will use the platform to launch their courses for pre and post-op transgender individuals. Turner says that fitness advice is tailored to the standard gender binary. Individuals transition from female to male, for example, would like to add muscle mass, but may not know where to start. The app takes that those aesthetic goals into consideration along with the mental health component to give people a more holistic picture of health. Canada has legislation on the dockets to change the way LGBTQ people are represented in Canadian society. They are looking to expunge records of anyone arrested for indecency before laws enacted to remove criminal prosecution of those kinds of relationships. In a study conducted in 2010, a research group found that one in 200 people identify as transgender and out of this group, roughly 40% of them struggle with mental health issues related to being transgender. Among these, it’s estimated that nearly 10% of them will attempt or commit suicide each year. This translates to about 470 individuals. The app is looking to bring those numbers down by focusing on many of the struggles of the community. The first issue facing transgender people is lack of care in pre or post surgery transitions. Healthcare practitioners often don’t know and don’t understand the health struggles of the transgender community, and that can make finding medical advice difficult. Trans-gendered individuals are frequently subjects of discrimination, whether implicit or not, and many have reported having hormones withheld or being scrutinized if they seek advice for mental health issues. Going to the doctor can be a traumatic experience. 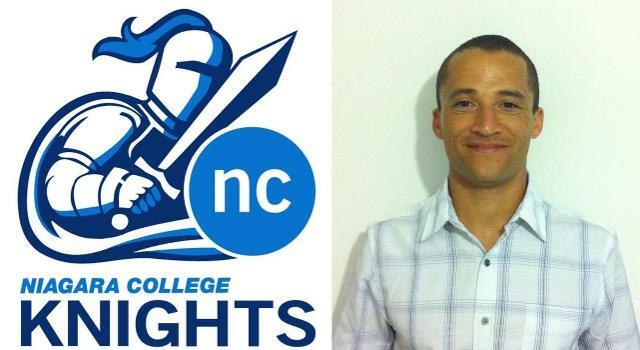 The team is also working with another professor at Niagara College, Adam Upshaw. He specializes in nutrition, and they believe that adding a nutrition element to the app will be an important part of a well-rounded health offering for the community. Nutrition will be the last element in the circle to help transgendered individuals take control of their health and wellness and hopefully decrease the number of individuals who attempt or commit suicide. They believe that it will be a foundational piece in achieving both aesthetic and mental health goals. Individuals struggling during their transition periods will need support. Until it becomes easier to receive the quality of help required during such a delicate period, the app will hopefully change a few lives in the Ontario area.